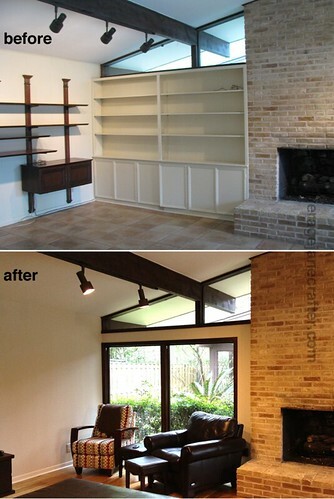 A year later ... the "after" pics of the house renovation! It's nuts to think we've been in the house for a year now. Nuts because there are still a few unpacked boxes tucked in corners and nuts because the walls are still largely empty. I'm not so great at this whole settling in and decorating thing, but I'm determined to get better. I kept waiting to post "after" pictures, because I felt sure I'd get everything decorated and fixed up so I could show truly done pictures. I finally realized that that's going to take a while, and when I had a surprise visit from the family who used to live here, I decided I'd get the place as spiffed up as I could for them and would finally take some pictures. The visit with them was wonderful. All three kids who grew up here came to visit. It was great fun showing them around, especially because we kept several things from their old bedrooms in tact. The daughter chuckled as I went on about all the "retro" stuff in the house that I loved, because it was all stuff she'd tried to get her mom to get rid of. We both agreed that it was a great thing that she didn't get rid of any of it, because I love it all so much! Just another sign that we were meant to be in this house. Enough chit chat, y'all just really want to see the insides of the house, right? Let's get to it! The front door is the perfect place to start, especially because it's one of my favorite things in the renovation. I never thought much about front doors, until I came across Crestview Doors. Then doors became all I could think about. My parents got the Langston doorlite kit (and a rad mailbox) for us as a house warming present. My husband had the awesome idea to put the windows down the center of the door, and it was perfect! I sprayed the escutcheon chrome, but we haven't been able to get new doorknobs yet. 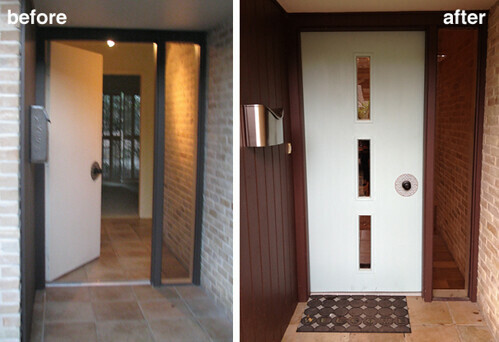 We painted the door the same soft aqua color that we used throughout the house. I never thought a door could make me happy every time I walk up to it, but this one totally does. 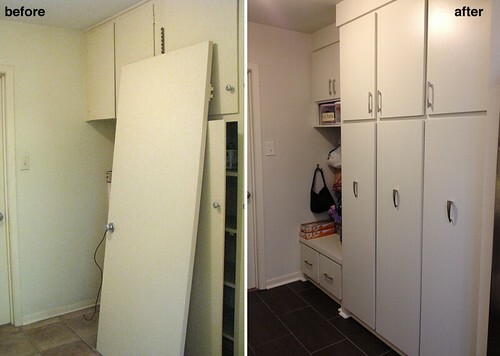 Man, what a difference ripping out cabinets can make! 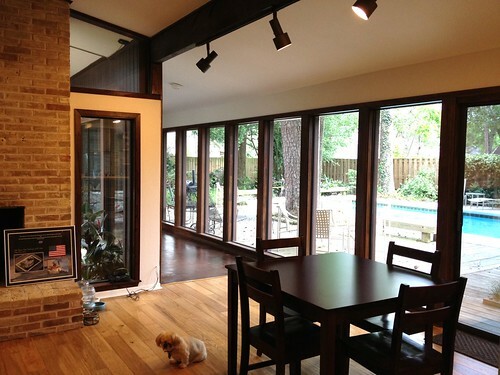 The space feels so HUGE and open, and it's awesome to come in and be able to see right out to the backyard. LOVE how it turned out. Upper cabinets came down, and that made a huge difference. My inspiration for the kitchen was this picture of Frank Sinatra's kitchen Pam shared on RetroRenovation. 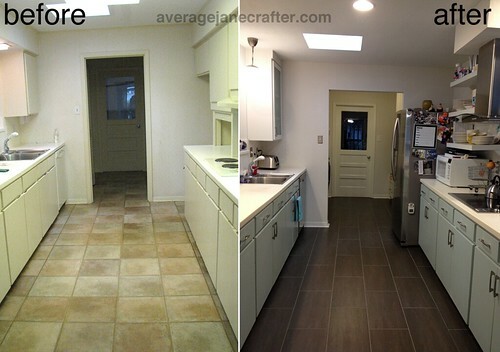 We kept the original lower cabinets and countertop, and just added new paint and hardware. We put in a new vent hood and open shelving for everyday dishes. I love the tile, and the space feels ginormous - even though it's a galley. I actually really really love the galley. The light fixture over the sink was a $14 IKEA purchase to match the rad original light fixture in the breakfast area. The laundry side of the room was also gutted (there was some water damage there) and built out to fit our washer and dryer. There's space to hang clothes and a cabinet for detergent, and a broom closet to the left. We keep our trash can and brooms/mops in there. Cleaning supplies above. 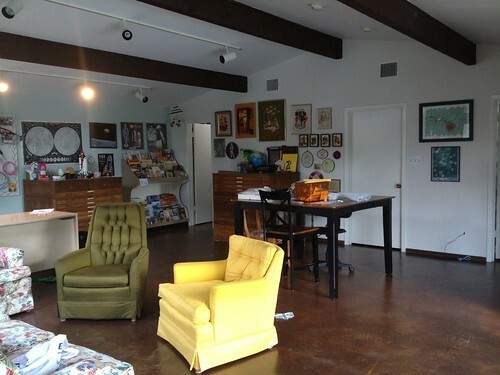 It's kind of sad that this is one of my favorite spaces in the house, isn't it? I thought about pulling all the laundry out for pictures, but really - this is how it goes at our house. No need to pretend I stay on top of the heaps of clothes, folks. This is actually tidy for me. 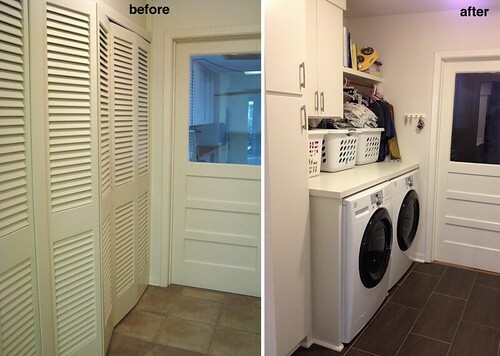 We gutted the utility room and redesigned it for maximum efficiency. On this side, we put in a small mudroom kind of area with hooks for bags/coats and drawers for shoes. 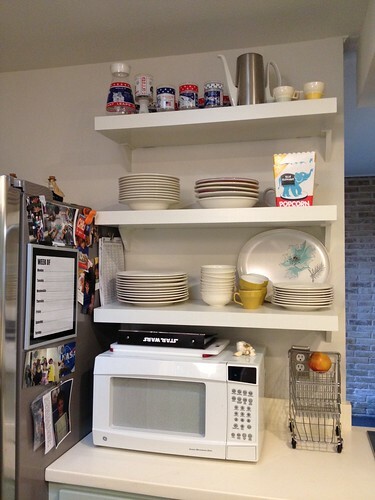 The three sections of pantry were custom built and outfitted with IKEA slide out shelves that are super handy. The wife of one of Chris' co-workers had the brilliant idea to tear out the bookshelves in the living room and replace them with giant windows to match the rest of the windows in this part of the house. It made total sense and was one of the best things we did for the house. 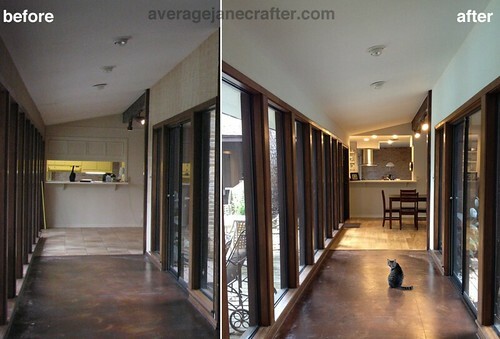 The contractor was able to match the frames almost exactly - I couldn't believe it. Originally in bedroom 1 in the configuration on the left. We moved them to bedroom 2 (son's room) and consolidated them a bit. We *love* them. 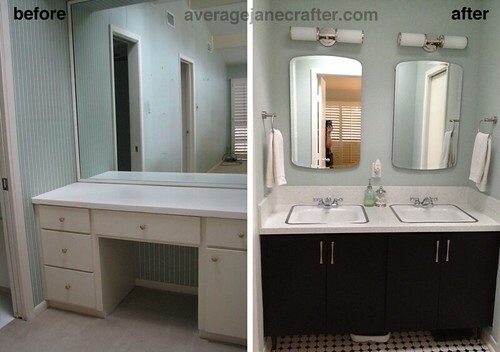 Before, it was just a vanity, but we wanted to have sinks in this space instead of the shower area. The vanity design is based on a popular vanity design from the 60s. I love our metal rim sinks and faucets. The guys installing them just kind of chuckled at me "We've torn a lot of this kind of stuff out of homes, but never put it IN them!" That's just how we roll, fellas. 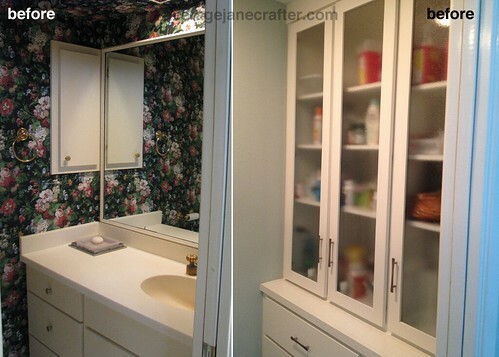 Medicine cabinets above sinks and the cabinets below offer all the storage we need & make up for limited counter space. 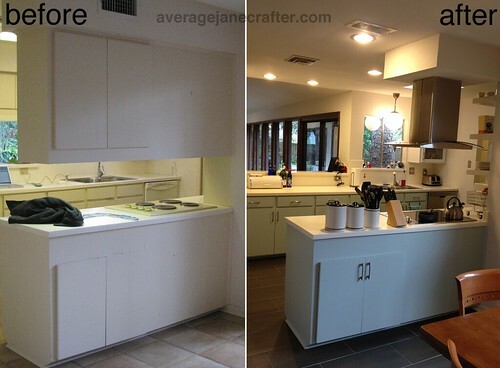 I actually prefer it this way - I hate having junk out on countertops. This is in the room with the shower and toilet. We moved the sink out to the previous "dressing area" and had storage custom built for the space. The bottom left part is a hamper! I could have gone more 60s and lest 30s in here, but finding affordable 60s-style tile was difficult. I decided to go with the classic subway/black and white action that I've always loved. 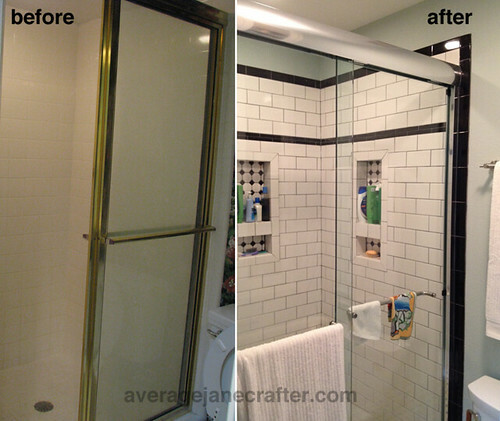 It also feels weird to show a picture of our shower like this - and not "staged." Check out our shampoo! Look at our washcloths! Ehhhh! Looking back at the kitchen all opened up now. Aaaaan, the STUDIO! My Happy Place. 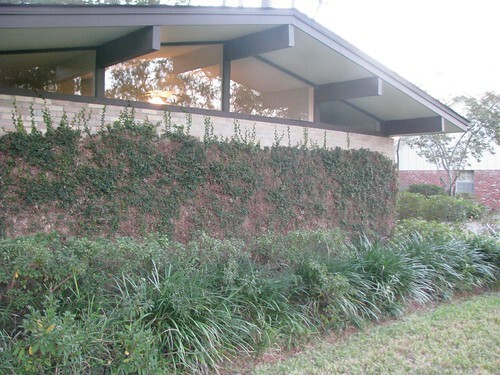 A needlework wall on one side, space wall on the other. The couch and chairs came from a garage sale (for a steal!) and the work table was traded from a friend for sewing lesson (hey, Lauren ... we need to do those!). Love this space so much! There are lots more "after" pictures over on Flickr. Hopefully this will spur me on to getting the place decorated and more put together, but for now it's suiting us just fine. We love it here. The house has been amazing, the neighborhood is awesome, and we're still happy (even happier?) that we got this place.